Getting kids interested in gardening encourages them to make healthier choices regarding their eating habits as well as teaching them about patience and the equation between plain old hard work and a productive end result. But gardening isn’t all work, and there are a myriad of garden projects that you can engage your kids in that are just plain fun. A great, incredibly fun and interesting project for kids is scratching names in garden veggies. Yes, you heard me correctly. 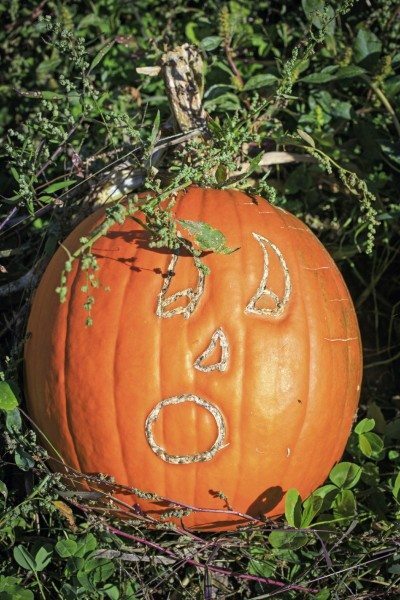 Personalizing pumpkins or other squash in this manner will engage kids for months and will guarantee that you have a personal garden buddy, ready and willing to assist with garden chores. So the question is how to make personalized pumpkins? Scratching names in garden veggies such as pumpkins or other hard squash and melons is easy, and is guaranteed to enthrall the youngest child as well as older kids. For little ones, supervision is required. The first step is to plant the pumpkin or other hard squash. Plant seeds in May, or after the last of the frost in your region. Seeds should be sown in well amended soil by digging in aged manure or compost. Water and wait according to the seed packet instructions for germination. Keep the area around the plants weed free to dispel pests and diseases, and mulch around the squash with straw or the like. Fertilize the squash every two weeks. Soon after flowers set on the vine, tiny pumpkins or squash will begin to appear. You need to wait until the fruit is a few inches across before scratching names in garden veggies. Once the fruit has achieved this size, have the kids write their initials on the squash with a marker. Then, using a paring knife, cut into the initials just lightly through the outer skin (if kids are little, an adult needs to do this part). As the squash grows, the initials or design will grow with it! If you want the pumpkin or other etched squash to grow larger, remove other fruit on the vine so all the nutrients go towards it. Besides initials, kids can get creative. Designs, full phrases and faces can all be carved into the squash. In fact, this is a neat way to carve pumpkins for Halloween. Once the rind of the pumpkins is hard and orange, it is time to harvest, usually after the first light frost in fall. 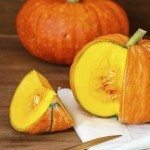 When you cut the pumpkin, leave 3-4 inches of stem on the fruit. After the pumpkin has been enjoyed as a “jack-o-lantern” or art work, there is no use wasting this guy. Time for another fun project. Have the kids guess the number of seeds in the pumpkin. Then have them dig the seeds out and count. Wash the seeds and roast them in the oven, lightly sprinkled with salt for 30-40 minutes at 300 degrees F., stirring every 10-15 minutes. Yum! This is a full circle entertaining and delicious project for kids… and their parents. Read more articles about Children's Gardens.